According to a report from the Centers for Disease Control and Prevention, more than 300,000 hip replacement surgeries were performed in 2010 on American patients age 45 and older. That number is more than twice the amount of hip replacements performed just ten years before, and it is expected to continue growing as the Baby Boomer generation ages and medical technology improves. Patients are also electing to have hip replacement at a younger age in order to maintain their desired quality of life. The report also indicated that the typical post-surgical hospital stay has decreased from almost five days to just under four days. Some of the factors that have played a role in faster recovery include better control of blood loss during surgery, better pain management, and improved rehabilitation methods. One of the rehabilitation tools that doctors and patients now have at their disposal is a cold and compression therapy machine. A cold therapy machine uses advanced technology to improve on the traditional ice and compression treatments that are applied after hip replacement surgery. The machine works by simultaneously circulating cold water and actively pumping air through specialized wraps to provide a consistent therapeutic temperature and active compression that mimics the body’s natural pumping action. One of the reasons to use a cold therapy machine during hip replacement recovery is that it can provide pain relief without the use of medication. Applying cold to an injury slows down nerve impulses and reduces the sensation of pain. A cold therapy machine provides longer-lasting results than an ice pack because the continuously circulating water stays at a consistent temperature, while an ice pack gets warmer the longer it absorbs heat from your body. The active compression from a cold and compression therapy machine pumps away the excess fluid that contributes to swelling. Although swelling is a normal physiological reaction after hip replacement surgery, too much of it can impede the healing process and contribute to your discomfort. The traditional method for controlling swelling includes the use of static compression bandages. A cold and compression therapy machine improves on this by allowing you to control the level of compression, and by actively pumping fluids through the body. The combination of consistent therapeutic cold and active compression helps accelerate the healing process after hip replacement surgery. 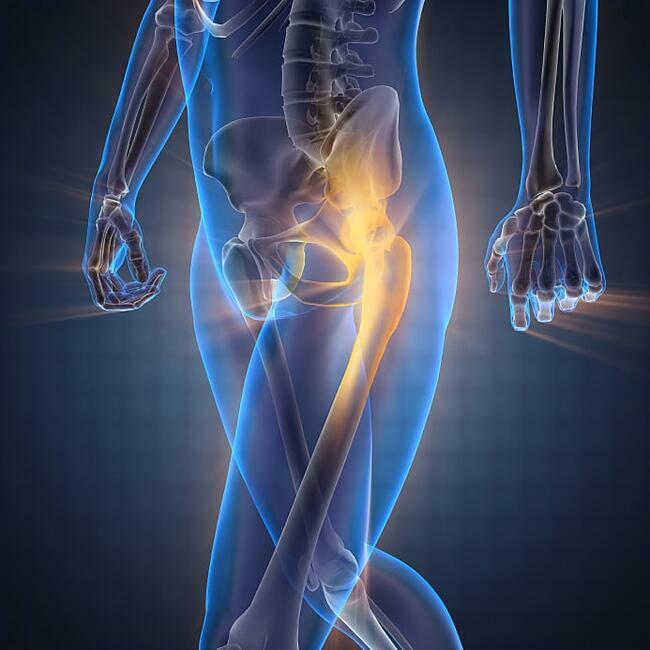 The cold is able to penetrate deeper to reach the damaged tissues in the hip joint, and it is proven to last longer than an ice pack alone. While the therapeutic cold slows down cellular activity so your body has a better opportunity to heal, active compression pumps away unwanted cellular debris and brings in freshly oxygenated blood to promote healing. Specialized wraps are designed to conform to the body and maximize coverage so that therapeutic cold can penetrate from every angle. Not only can you not do this with ice packs, but you also have to hold them in place during the treatment session. With a cold therapy machine, you simply apply the adjustable wrap, adjust the temperature and pressure settings recommended by your doctor, and let the machine do its work while you are free to use your hands. If you are interested in learning more about how to integrate a cold therapy machine into your hip surgery recovery, talk to your doctor about Game Ready. You might be able to use it in the hospital immediately after surgery, and you can rent a machine for home use as you continue to recover. Contact us today to learn more.